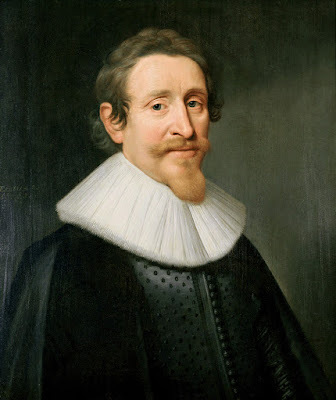 Hugo Grotius was by all accounts a brilliant mind. The 17th century philosopher, legal scholar, and political theorist who helped shape international law and concepts of the natural law referenced in philosophy.1 His Truth of the Christian Religion in Six Books demonstrated his keen skill in Christian apologetics as well. Just as I explained in a previous post, the concept of multiple gods really makes no sense. In this short paragraph, Grotius demonstrates how only monotheistic faiths are logically coherent. Thus a person is seeking to weigh all faiths in order to find the one true faith, eliminating all but monotheistic faiths quickly disposes of the vast majority of religions held throughout the ages. 1. Miller, Jon. "Hugo Grotius." Stanford Encyclopedia of Philosophy. Stanford University, 28 Jul. 2011. Web. 26 July 2015. http://plato.stanford.edu/entries/grotius/. 2. Grotius, Hugo. "Truth of the Christian Religion in Six Books." Christian Classics Ethereal Library. Christian Classics Ethereal Library, 22 Aug. 2007. Web. 26 July 2015. http://www.ccel.org/ccel/grotius/truth.iii.i.iii.html. What about religions like Hinduism that claim their many gods are really just different aspects of the one?